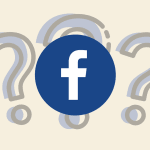 Should you be using facebook in your business, for your social life or for your criminal life? Well maybe that question has just been answered thanks to a ruling in the ACT supreme court which has determined that a default judgement can be served to a defendant via face book. Those uber web 2.0 guys down at Meyer Vandenberg Lawyers got the ruling which of course now sets the precedent across Australia for similar actions to occur. 1. If a judge pokes you with a default judgement – canyou reject his poke and that means you get off? 4. If you post something on your Wall and some uses it to poke someone else in the workplace – is that workplace harrasment and is it admissiable in court? 5. Current Status – You have 3 friend requests, 1 event invitation and 4 summons to appear. Here’s the media release below in all its glory and a link through to news.com.au that has also covered the story. Come on Kaleigh – give us the scoop next time! It seems that Facebook has no boundaries… Sharing photos, updating your status and playing poker are things of the past- The latest movement in the fast paced world of social networking is that you can now be served legally binding documents. Last week in what appears to be the first in Australia and potentially the world, Master Harper of the ACT Supreme Court has ordered that a default judgement could be served to someone via their Facebook page. The innovative channel of communicating with the defendant was suggested by two young Canberra Lawyers from Meyer Vandenberg Lawyers, Mark McCormack and Jason Oliver. A default judgement is given to someone if they do not appear in court. It then becomes the responsibility of the plaintiff to personally deliver or mail the document. This can often be a difficult task if the defendant is not easily located. Courts have previously allowed default judgements to be delivered by email and text message but it is a first for Facebook. Archie Tsirimokos, Managing Partner of Meyer Vandenberg says it was only a matter of time before Facebook became a method of communicating with defendants.